New Audi R8 Style LED strips for the European looks! 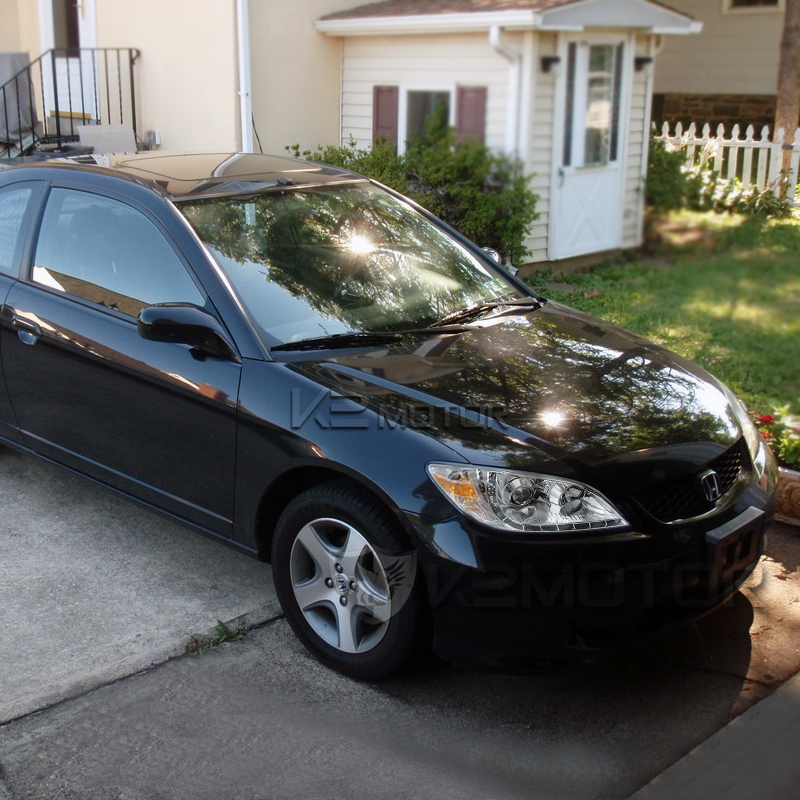 Buy your new Honda Civic Projector Headlights today. 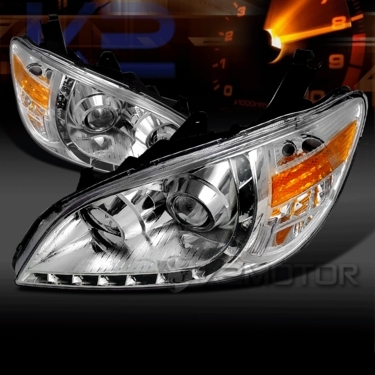 K2 Motor carries a wide selection of Projector Headlights at discounted prices. Brand New 04-05 Honda Civic R8 Style LED Projector Headlights! These R8 inspired projector headlights for your car provide an intensely concentrated light beam with a innovative & unique design that customize your vehicle for only the fraction of the cost of OEM Headlights. A brand new R8 style LED design gives your car that exotic look without the exotic price. Originally only available on the Audi R8, A5, and certain S models in the Audi lineup, they can now be on your car. The Headlights are securely mounted using the original screws & nuts of the OEM parts. If you are unsure about installing automotive accessories by yourself we recommend consulting a body shop. You may also upgrade the light bulbs to High Intensity Discharge (HID).